Look what we got in the mail…Scanimalz!! What are they, you ask?? Scanimalz are cuddly, collectible plush toys that bring the physical and virtual worlds together. They’re from SCANdinavia, frequently have SCANic attacks, like to do SCANnon balls and makeSCANtastic pets! 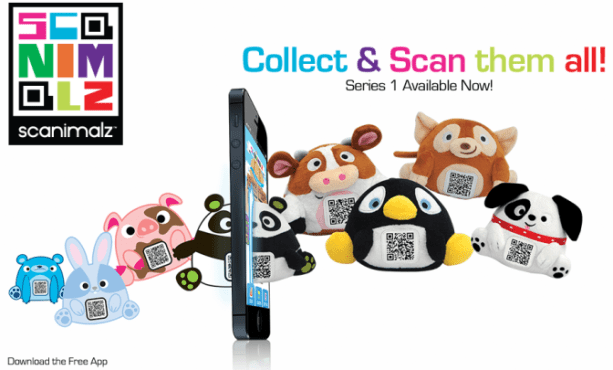 Sure to be the “it” toy of 2013, these cute, cuddly plush characters come with QR codes on their adorable soft bellies. 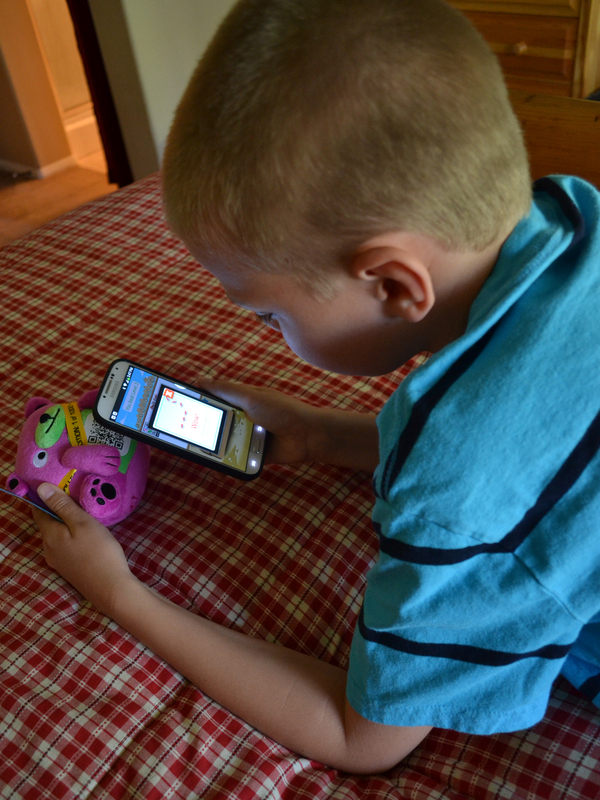 Scanimalz, from Wicked Cool Toys, capture what kids love—cuddly toys, technology and playing games on smart phones and tablets! With more than 30 adorable plush characters to choose from, girls and boys will love to collect them all and play for hours on end. It’s easy to get into the Scanimalz world! ü Work your way up the Daily Leader Board! 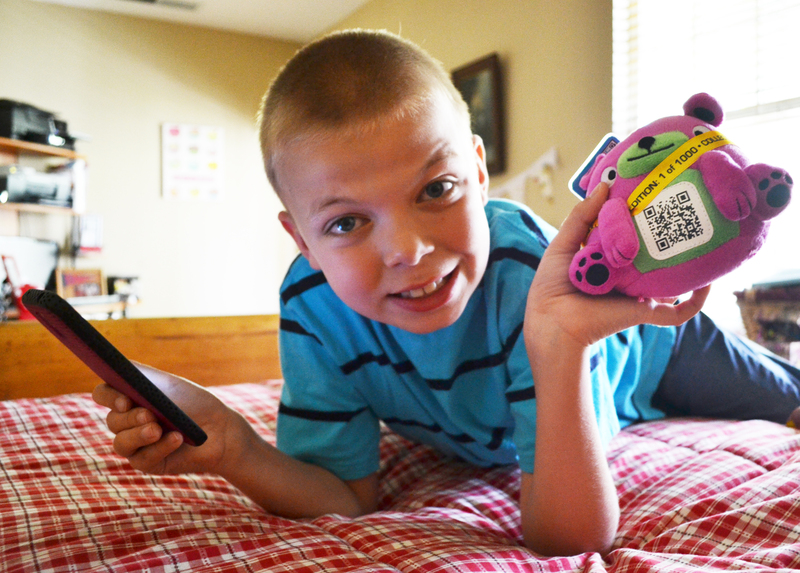 What makes Scanimalz unique is the App prompts kids to scan their belly on a daily basis, and offers optional push notifications alerting players to special scanning days and events…this keeps the connection alive between the soft cuddly character and the child. 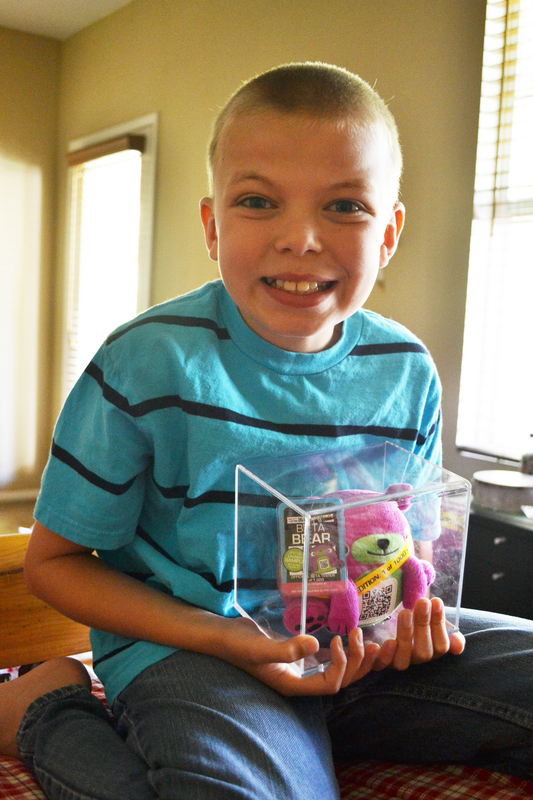 We opened up our Beta Bear Purple and started playing with it immediately! It was so easy to set up and get going. My son of course figured it out before me! He breezed through the first few levels and was hooked! Little sister was jealous of her brother’s cool new toy, and I think there are more Scanimalz in our future! Look at all these cute little guys! I think the cow might be next! You can buy Scanimalz on their website, and at only 9.99 a piece, you can pick up a few! These would make great, unique birthday gifts as well! 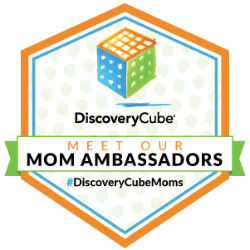 Jaime is a homeschooling mama of two, wife of one, and loves living in the OC. She is addicted to chocolate, babies, and crime tv. You can read more at Polkadots on Parade, an eclectic blog of craftiness, mommy reviews, and plenty of pictures. JT would go ga-ga for these!